FAQ - Mitchell Law P.A. Contact our office so we set up a free consultation. You will meet face to face with a real attorney who will determine if you should hire an attorney. It’s at no cost to you, so call us today. Insurance companies have vast resources to defend their case. They will try to limit your compensation for your damages. Laws regarding insurance companies and insurance contracts can be written in confusing legalese. You need an attorney who is well-versed in insurance laws and is experienced in dealing with insurance companies to protect your rights. We handle all cases on a contingency fee basis. A contingency fee means that you do not owe us any money unless we make a recovery for you. If the insurance company calls me, should I talk to them? Never, that’s why you hire an attorney. We will be your advocate against the insurance company. At Mitchell Law a licensed attorney works on every case. When you hire an attorney you should get an attorney. 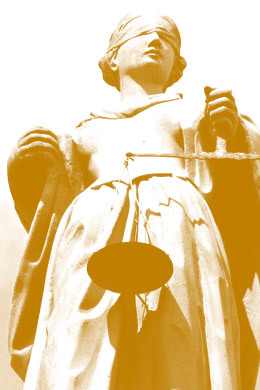 We do have paralegal, legal assistants, and secretaries that provide the attorneys support. In Florida, personal injury cases are subject to what is referred to as the “statute of limitations.” A Statute of Limitations is a law that requires you to file a lawsuit within a specific period of time. Statutes of Limitations vary depending on the subject matter of the case. Failure to comply with the applicable statute of limitations can cause your case to be dismissed; therefore you should contact an attorney as soon as possible.